Google Page Rank, also known as Google PR was one of the most popular ranking tools used by Internet marketers and bloggers worldwide. But its popularity significantly decreased in the past few years after Google itself determined the tool to not reflect reality anymore. Many spammy websites had high PR, and so Page Rank was not reflecting authority and quality. Google PR is a specially developed factor/system for ranking web domains/pages. Each page has a certain authority, or at least this is how Google “codes” a page in its search engine results page. 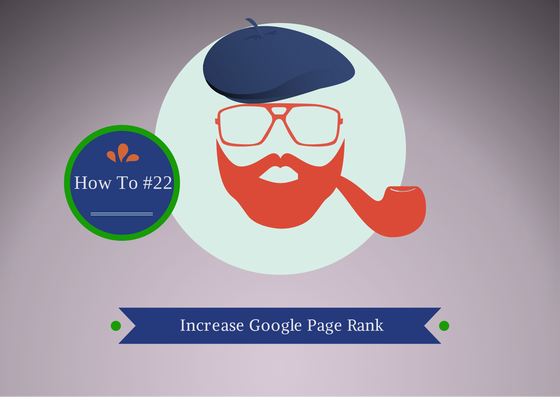 High page authority means high Google page rank. The page rank of a web page can be lower, higher or even 0, depending on the outbound links to that page. Usually, the fresh websites/pages have a page rank value of N/A. Google sees the links to a certain page like votes: many links, many votes… Higher page rank (and vice versa). Google Page Rank works pretty simple: as stated above, it codes from 0 to 10 the “power” and authority of a web page. The more relevant and powerful the backlinks to your web page, the higher the page rank. In the past, it used to be updated every 2-3 months, causing a lot of excitement among bloggers and Internet marketers. While it wasn’t hard to make it to PR 4, getting a PR6 or higher was the real deal and very hard to achieve. You can still improve your Page Rank, but again, just like Alexa, it’s mostly for your own pride as a site owner rather than relevancy of your site’s authority. In general, getting backlinks for your home page or other pages will most likely increase the Page Rank. Ideally, you’d want to get a backlink from other pages that have a Page Rank at least +1 higher than your own page. For e.g., if your page has a Google PR of #2, getting a backlink from a page with a Page Rank of #4 will mostly likely cause your website to get closer to a Page Rank of #3. Liked our article? Check out more and learn how to grow your website, how SERPs work, what Google wants and how to run a backlink campaign. And more.